The bird alone - first line reads: Come all you gentle muses, assist and me combine. 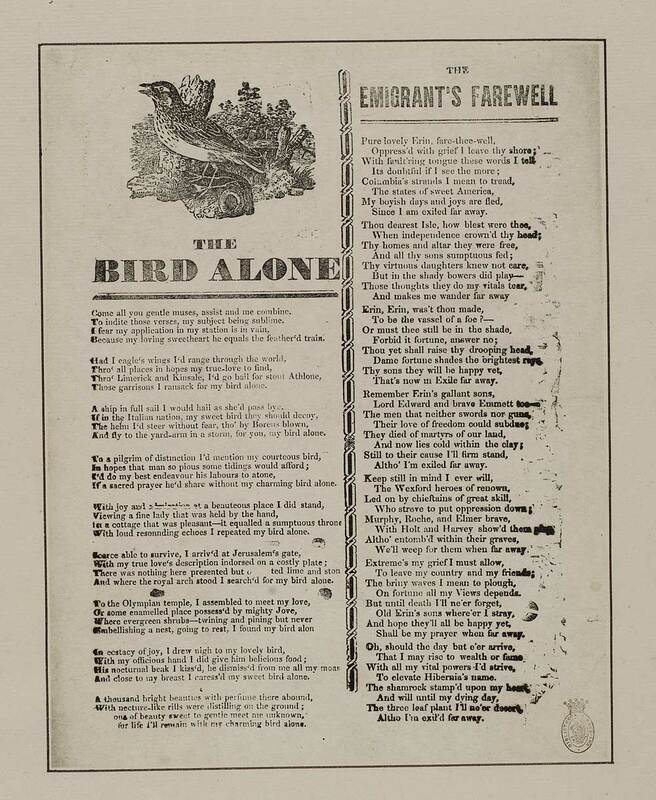 The emigrant's farewell - first line reads: Pure lovely Erin, fare-thee-well. In one column with a woodcut above the title.